UnisilverTIME had been one of the most innovative watch producers and seller in the Philippines. IN fact it is the only watch sekker that has an online site that gives hundreds of free watches per month and even allows you to get watches lower than 50% of the in-stor price through online biddng. Today we will present one watch which a fellow writer of this blog won from UnisilverTIME's monthly refer and win contest. 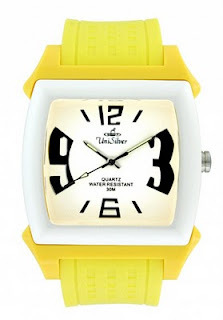 This yellow UnisilverTIME watch is perhaps inspired by the yellow fever during the campaign of President Noynoy Aquino and perhaps way back during the death of former Presient Corazon Aquino. The watch is in full blast yellow color and that includes border of the main watch and the bracelet. The main watch numbers comes in an elegant style where the numbers 9 and 3 are enlarge while 12 an 6 are smaller. It also defies the usual round watch design since this UnisilverTIME watch is designed as a square watch. At the back of the watch the UnisilverTIME name and logo is embedded as well as the product code, KW479-2444. The watch is also water resistant up to 50 meters and is in full stainless silver design which means it will never rust. THe good thing about UnisilverTIME watches is the fact that you get a free cleaning of your watch as long as you have your UnisilverTIME card which comes along with every watch purchase. KW479-2444 has the following specifications - Face Width: 43mm; Face Height: 37mm; Max. Wrist Circumference: 220mm; Thickness: 12mm. 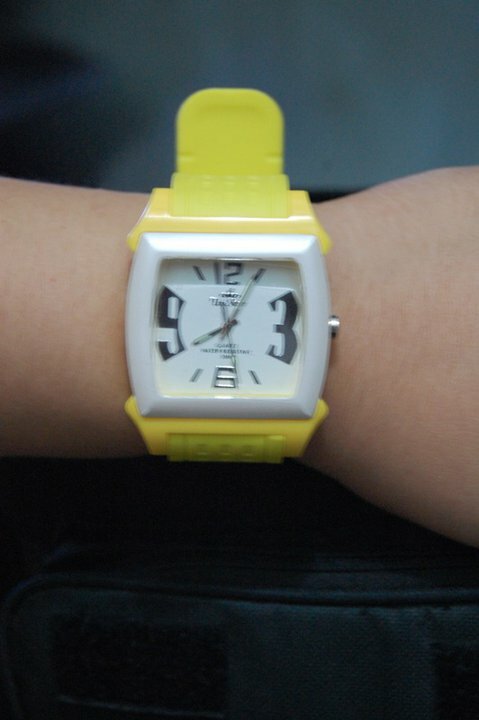 This watch is worth P1,295.00 or US$29.43. The great thing is this is the watch they are giving away for the REFER A FRIEND PROMO.. Truly an elegant watch that is worthy to carry the yellow color. For the latest UnisilverTIME watches, promos and available watch for bids CHECK OUT THE UNISILVERTIME WEBSITE.